Tiger Woods, sidelined for 15 months after back surgery, will make his return to competitive golf at High Noon on Thursday at the Hero World Challenge. Tiger Woods has prepared for tournaments many, many times over the course of his nearly 41 years on the planet and, as he gets ready to play competitively again, he admits that he's just as anxious as ever. "I'm nervous for every tournament I play in, whether it's after a layoff, or six in a row, or a major. I care. If I care, I'm nervous. And it's good to be that way," Woods told USA Today. "To have that nervous energy and channel it, into aggression, into focus, into concentration, that's good stuff. "If I wasn't nervous, that would mean I didn't care. I don't want to be out there flat. I want to be out here so bad. And now I am." Woods, who has not been seen in a tournament since the 2015 Wyndham, will play in the Hero World Challenge, a tournament that benefits his foundation and begins Thursday at Albany Golf Club in Nassau, Bahamas. His appearance will make an absence of 466 days from competitive golf and, although he has said that he's "ready to go," we've heard that before. This fall, we've watched him drop out of tournaments, but now he says his back, his game and his psyche are ready to go. "I have way more shots now, because I've played way more golf. 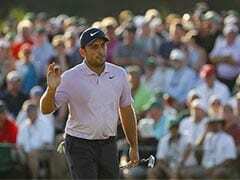 I only had a handful of shots back then," Woods, who has undergone two back surgeries, said, "and you just saw a session where I hit everything. And I had control of everything. I can hit all the shots now, on call . ..
"It was a smart decision in the end to pull out of the tournaments. The competitor inside me wanted to go so badly, I was itching to go, I had been playing at home, and I thought I could get it around. I had played feeling worse and won golf tournaments. But I finally decided why rush . . . I had waited more than a year, so let's wait a little more and get it right." 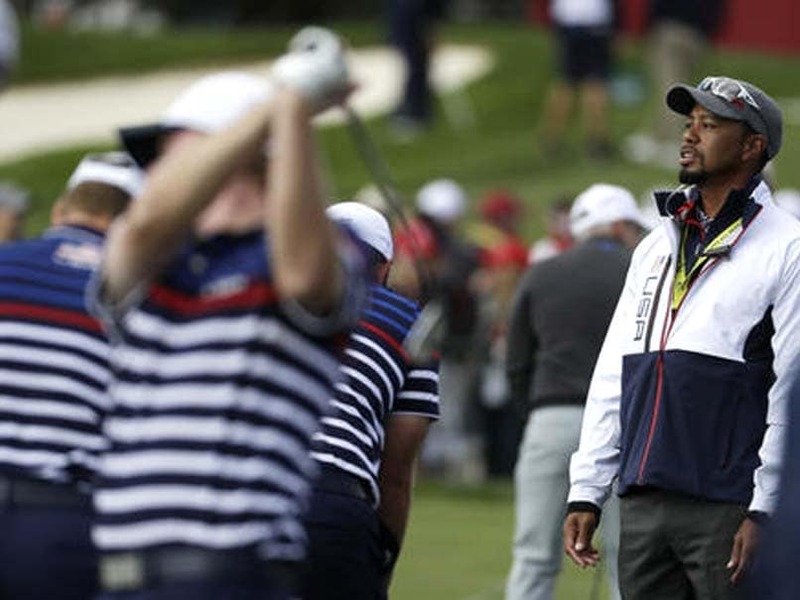 His return, as well as the new equipment he is using, is being minute scrutinized, but Woods, ranked 879th in the world, was able to joke with reporters about his first appearance in 15 months.